You may withdraw your consent at any time by instructing us at cvantiqueengine.org/contact. However, if you do so, you may not be able to use our website or our services further. For example, we may be required to give information to legal authorities if they so request or if they have the proper authorization such as a search warrant or court order. Provided your request is reasonable and there is no legal basis for us to retain it, then at our discretion we may agree to your request to delete personal information that you have posted. You can make a request by contacting us at cvantiqueengine.org/contact. If you send us information in connection with a job application, we may keep it for up to 3 years in case we decide to contact you at a later date. If we employ you, we collect information about you and your work from time to time throughout the period of your employment. This information will be used only for purposes directly relevant to your employment. After your employment has ended, we will keep your file for 6 years before destroying or deleting it. It allows us to recognize visitors that you have referred to us, and to credit to you commission due for such referrals. It also includes information that allows us to transfer commission to you. Our websites are hosted in the United States of America. If you wish us to remove personally identifiable information from our website, you may contact us at cvantiqueengine.org/contact. Contact John Bricker @ 717-860-6889 to consign your items! Consign early so we can list them in advertising! Late consignments accepted day of sale until 8:00 A.M.
Tractor Pull! April 27th, 2019 Registration opens at 8:00 a.m. and the pull starts at 9:00. CVAEMA was formed in 1983 by a group of like-minded antique engine and tractor collectors. 35 years later the organization still goes strong with two shows a year on its 40+ acre showgrounds located just west of Chambersburg. 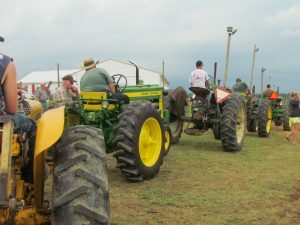 As a non-profit historical association, CVAEMA focuses on bringing together individuals interested in antique steam and gas engines, tractors, power driven farm machinery, and other equipment of historical value in an effort to preserve machinery of the past.